The Powder River Precision trigger kit for the XDS pistols includes all the springs that you would find in the Trigger Spring Kit for the XDS as well as our new light weight sear. This sear is CNC machined out of 440C Stainless Steel Bar stock and heat treated to 53-56 RC. This insures that you will get a top quality part that will last for years. The proprietary geometry helps to lighten the weight of the sear and lower the trigger pull weight. When properly installed it should result in a smooth trigger pull around 4.5-5#. We have also improved the function of the grip safety by increasing the grip safety engagement surface on the sear. 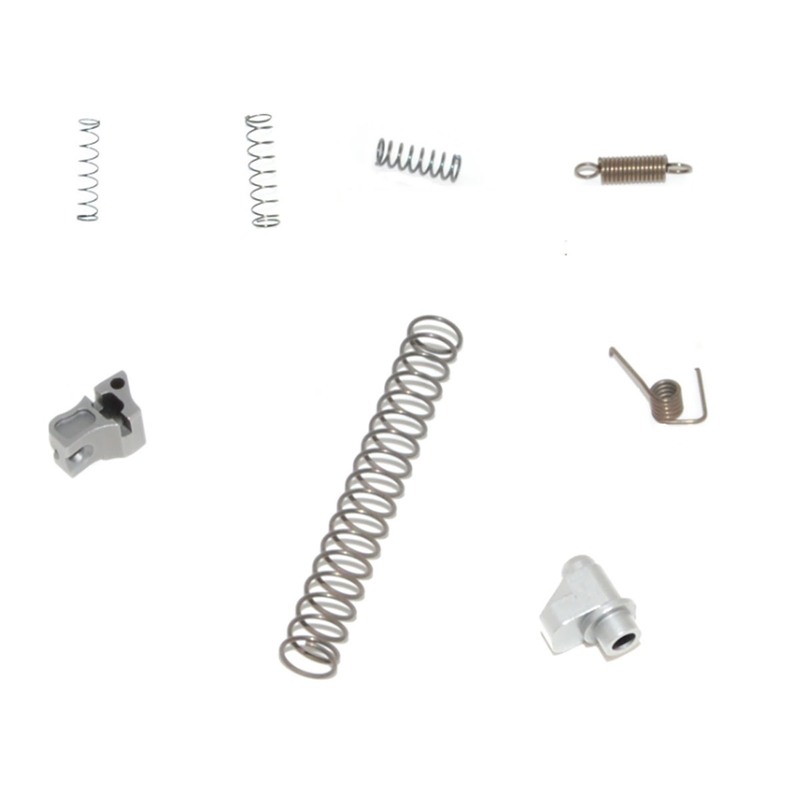 This trigger kit is designed to work on XDS pistols that are manufactured post recall or that have had the recall work performed on them. If you have an XDS that is covered by the recall and has not had the recall performed, we highly recommend that you contact Springfield and have the recall completed on your pistol.